Natural wood bird swing with rope has a ton of textures that your bird will love! 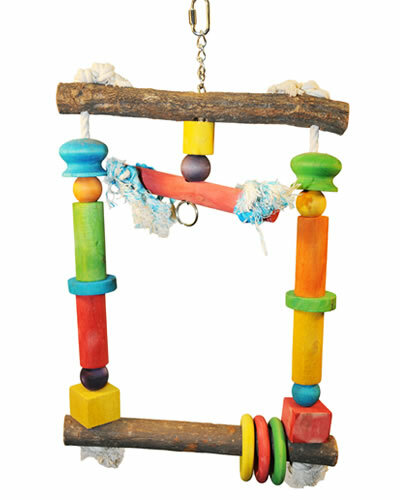 The bird swing is made out of natural wood branch and the sides of the bird swing are strung with colored wooden shapes and cotton rope. On the bottom of the bird perch there are wooden rings, and hanging from the top branch are chains, beads, wooden cylinders, and knotted rope. All of the materials are bird safe and durable. 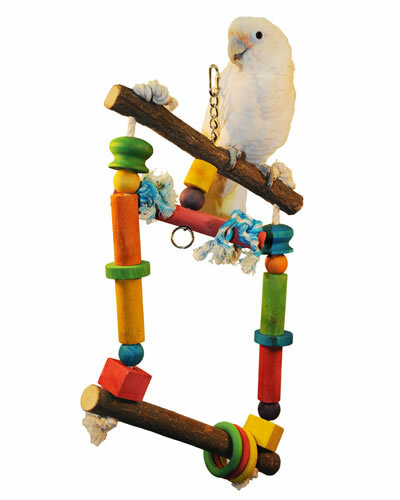 Notify me when Natural Wood Swing w/ Rope-Happy Beaks is in stock.